Are these Bad Plugs And Wires? Any thoughts on Champion Copper Plus spark plugs and BWD Select SUPERMAG wires for my 2005 N/A 2.4L with 90K miles on it? I was at O'Reiley yesterday morning and I had them look up plugs and wires for my car, and the manager (who was helping me) said to use the Champion plugs instead of Bosch because, "You should never put a foreign plug in a domestic car." Since I hadn't had my morning coffee first before going to O'Rilley, my B.S. detector wasn't up to speed. Now, several cups of coffee later, I have the sneaking suspicion that he had been talking out his hind. Oh, and while you are here, what should the gap be for the sparkplugs? I live in Northern California and the climate is very mild (rarely below 50, rarely above 80). I mostly do town / city driving, if that matters. Most trips are under 5 miles. Last edited by myjeephatesme; 24 Jun 2014 at 03:44 pm. Re: Are these Bad Plugs And Wires? Sooooo did t stores manager realize that a PT Cruiser is manufactured in Mexico? I recommend Champions myself. I stock them as well install them in customers PT Cruisers. BWD spark plug wires are just fine! Your gap to adjust them is either leave them as (Champion Copper single ground electrode plugs) they come out of the box simply compare them to make sure they are all the same gap . Or adjust them .035-.042. 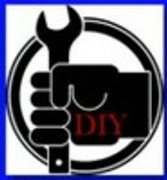 Anything less or more than this if later you have problems you listened to DIYrs and not a "Auto Technician" ! Make sure to use a tad bit of anti-seize on the plugs threads but don't get carried away with it. And on the wire boots and coil pack terminal end boots a smedge of dielectric grease. Do NOT lean on other engine parts while you are doing this simple task. This will save you the problem to find later you broke a connector to something important. DO NOT over tighten the spark plugs. Read and follow EXACTLY what is on the Champion box. While the spark plug wires and spark plugs are out if you have a compression gauge now is a perfect time to see of your engine is mechanically speaking. Also take and look down in the spark plug tube for oil or any debri. Last edited by NitroPT; 24 Jun 2014 at 04:03 pm. yes, he did recommend to use only a TINY bit of anti-seize and dielectric grease. And he did say that people usually put on WAY to much. "While the spark plug wires and spark plugs are out if you have a compression gauge now is a perfect time to see of your engine is mechanically speaking. Also take and look down in the spark plug tube for oil or any debri." many kits all the time on ebay for under 22 free shipping. Also pretty much all the time at HF. It is always a good idea to know the condition of your engine. The next time you do plugs with some baseline info you may be able to correct a problem before it worsens? I always love the idiotic things I hear from parts guys. A Bosch will work fine, as a matter of fact, they will work great. I have used them for years in my PT, I use the Platinum Plus 4s. The Champion is a good plug too, nothing wrong with them or the wires. The idea that you cannot put a "foreign" plug in a domestic car is ridiculous, it isn't like the spark is in a different language and it isn't like video where it is in a different format, it is a spark, period. cruserdad1976 and myjeephatesme like this. "The idea that you cannot put a "foreign" plug in a domestic car is ridiculous, it isn't like the spark is in a different language and it isn't like video where it is in a different format, it is a spark, period. " Oh, he had a PERFECTLY LOGICAL reason not to put a foreign plug in a domestic auto: "They just don't SEEM to work well together." You just can't argue with "gut feeling." And even if you could, would you really want to?